When it comes to travel, I typically like to avoid tours, guides, tour guides, guided tours, etc. 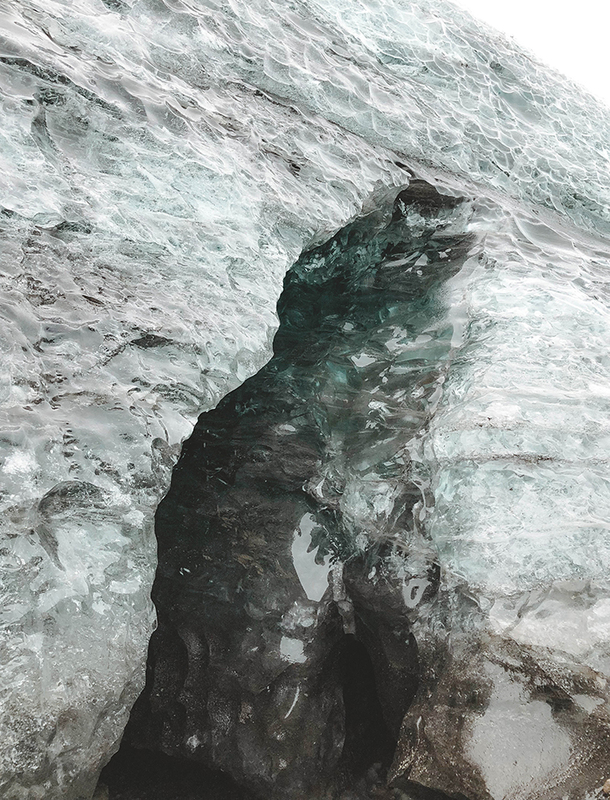 But when it came to going inside an ice cave, going without a knowledgeable guide is highly, highly, highly advised against because of the dangers involved. The formation of the caves are constantly changing with the change in weather and temperatures. The water is melting, new ice is forming, you never know how the cave will look from one day to the next. We even saw a large boulder in the cave that had fallen from the its ceiling just a week prior. Wrong place at the wrong time would be under that boulder. Not to mention, getting to the ice cave's opening is a journey in itself. We drove on top of glaciers, on ice, through deep waters, avoided (or tried to) rocks, etc. Sarah and I booked our private guided tour with Go Ecco, a local family owned business. I would much rather support a small business rather than a large operation where you are just a number of hundreds of tourists that book through them. We met our tour guide Tony at the Jökulsárlón Lagoon. 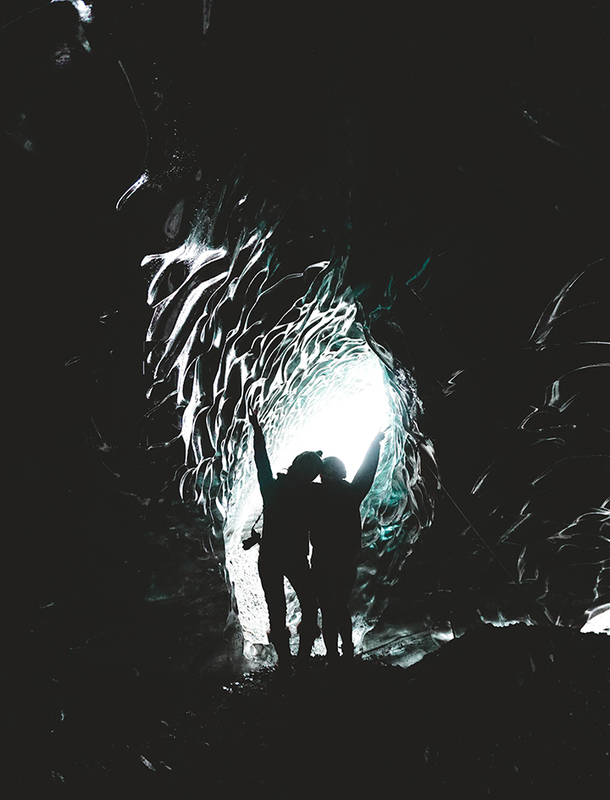 Instead of feeling like I was on a tour (it was just the 3 of us), it felt like hanging with a friend that we had known for years, who happens to be very knowledgeable when it came to ice caves and Iceland. 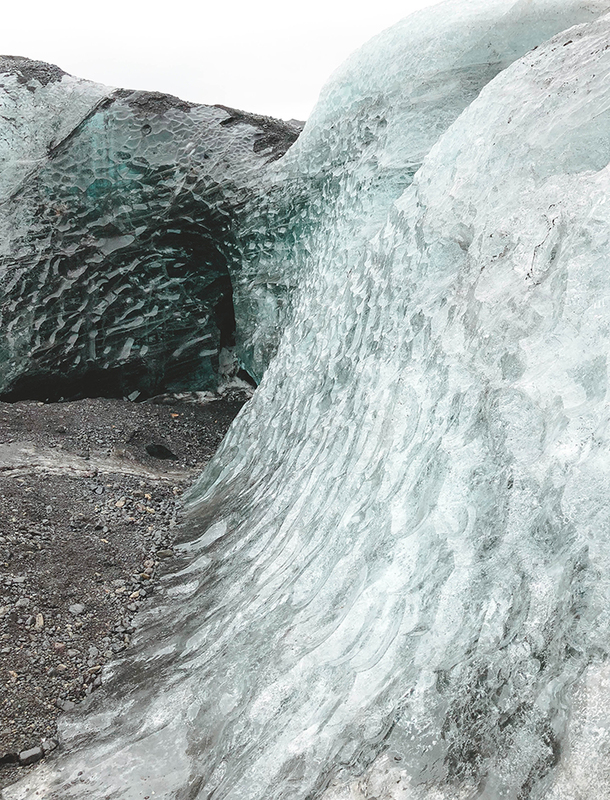 We hopped into a sturdy yellow van and headed to the Crystal Cave at the Vatnajökull Glacier. Base layers: I picked up both long sleeve tops and leggings Uniqlo's HEATTECH Collection and lived in these. Sweater: Added a layer on top of my base layer with and picked up a basic long sleeve sweatshirt from Uniqlo as well. Vest: The key is to keep the core of your body warm so the Patagonia Better Sweater Vest was ideal for doing so. Waterproof down parka: The particular one that I wore is actually from the men's section of Zara and unfortunately, it is no longer available. Having a warm, waterproof jacket is an investment and the one thing that is essential not only for the ice cave, but Iceland in general. Here is a similar option. Fleece-line legging: I wore another pair of leggings over my base layer legging. The fleece lining is crucial because the wind will easily cut through a pair of regular leggings. I'm a big fan of the brand Plush because they design amazing fleece-line leggings in a variety styles. I also ordered this pair that's more budget-friendly ones and as well as a pair of Smartwool tights for additional options. Waterproof pants: Not necessary since we didn't encounter rain at this particular time (it did rain on and off throughout the duration of our entire trip), but it was a nice to have. There were times inside the ice cave where we were maneuvering through small slots, crouching down, etc. These pants are lightweight and easy to pack, and slip on right over my other layers. Socks: I ordered a few pairs of these fleece-lined socks and my feet were the only part of my body that was never cold during my entire trip. Waterproof boots: I only brought 2 pairs of shoes/boots with me on the trip. Both were waterproof and by Sorel. On this particular day, I wore the Sorel _______. HotHands hand warmers: Since I knew I would be taking a lot of photos, I didn't want to be bothered with having to slip my gloves on and off. Instead, I put HotHand hand warmers in the pocket of my jacket so I slip my hands in there to warm up. They are air activated and portable, and you can easily place them anywhere for instant warmth. Beanie: Not only for warmth, but it adds an added layer of cushion between your head and helmet. Acne Studios' Pansy Rib Knit Beanie is my favorite one to wear at the moment. This is an experience that I could not recommend more. It was mesmerizing, jaw dropping and felt surreal at times, and I'm so glad I got to experience it with Sarah, Tony and Go Ecco.